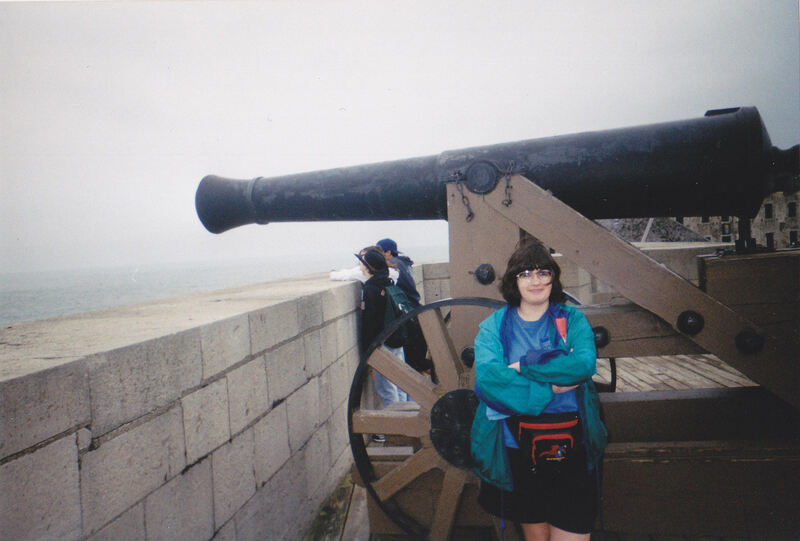 Our 2004 Road Trip, Part 4 of 10: The Cannons of Niagara « Midlife Crisis Crossover! Because someone has to keep the peace on Lake Ontario. 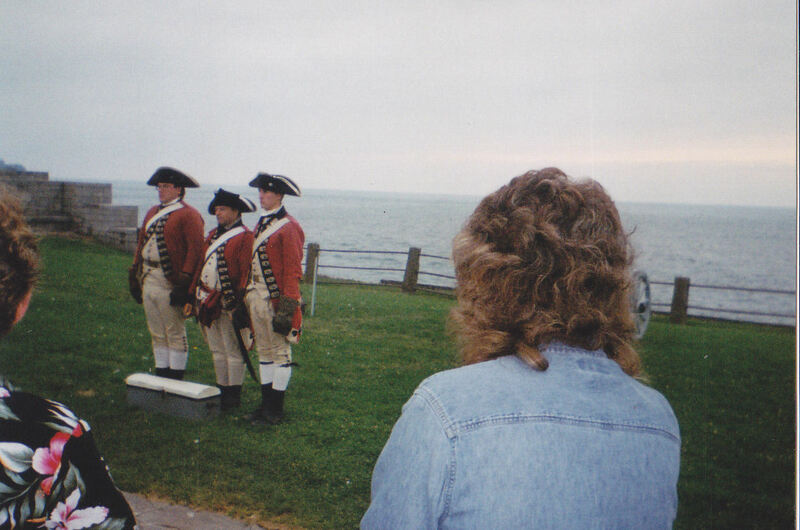 Of the four Great Lakes we’ve visited, Lake Ontario was the only one considered a strategic location worthy of a military outpost by both the French and the British back in the eighteenth century. 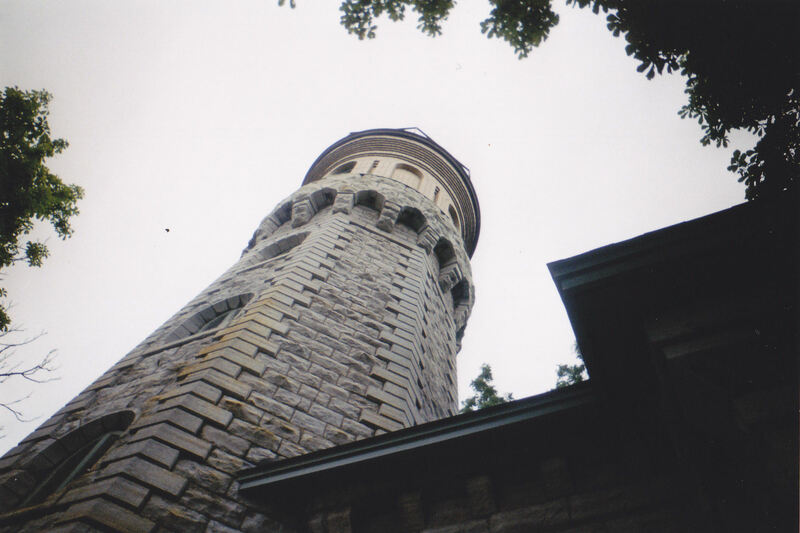 For fans of natural attractions and American history — you can bet my wife qualifies — Fort Niagara State Park is a logical addition to your upstate New York vacation itinerary. I’ve seen photos of this Fort Niagara/Lake Ontario shared lawn covered in tents. It looks to be a heck of an event space. 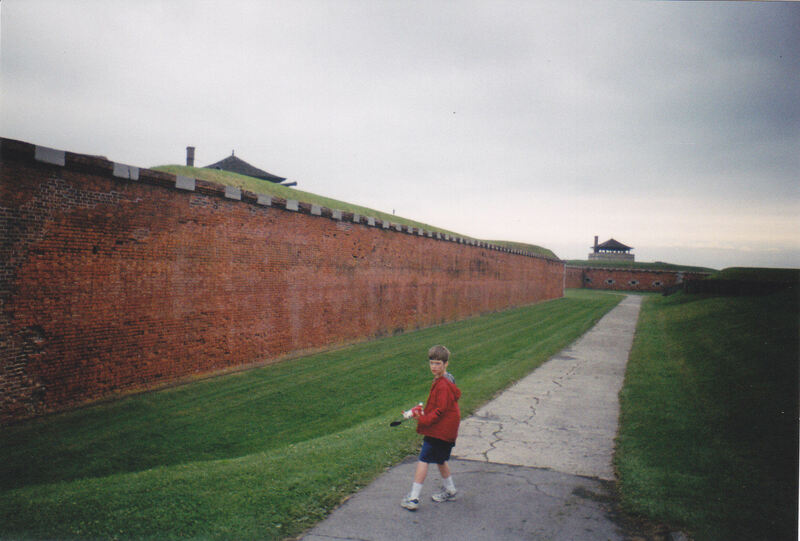 We followed up our dallying around Lake Ontario with a self-guided tour of Fort Niagara, home to one of the oldest buildings on the Great Lakes. 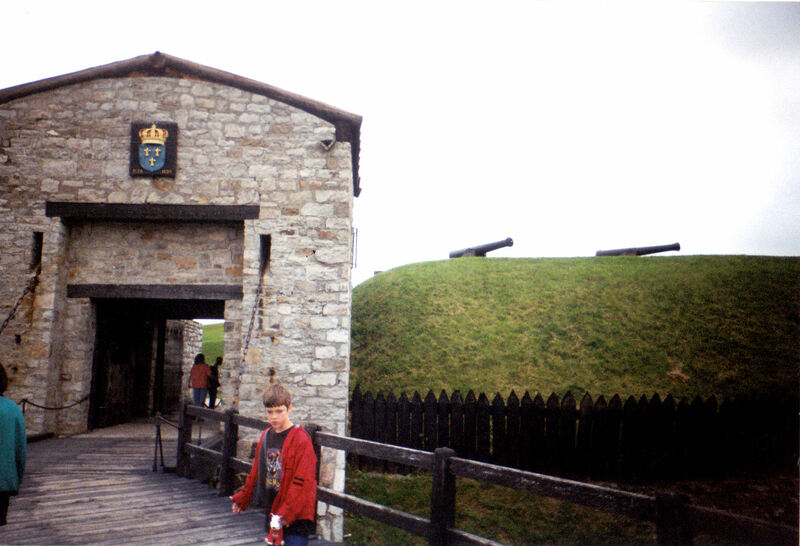 Built by the French as part of their line of defense during the French and Indian War, Fort Niagara was taken over by the British and was briefly held by them during the War of 1812. 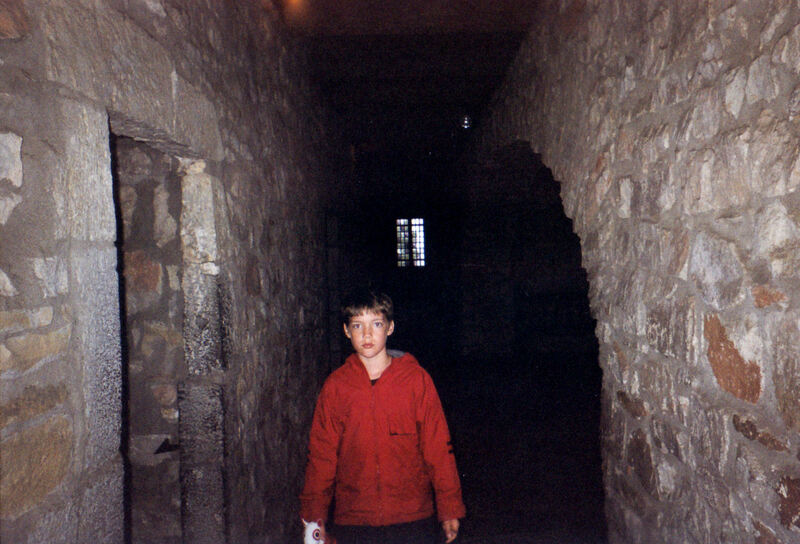 By the Civil War, the fort had fallen into obscurity, but became a tourist site in the early 20th century. During WWII it was used both as an induction site for troops and an internment camp for German POWs. From the entrance you can already glimpse the parapet and the knolls scattered around the fort, to say nothing of the vintage architecture. Sadly the tower was not included in our walkabout. 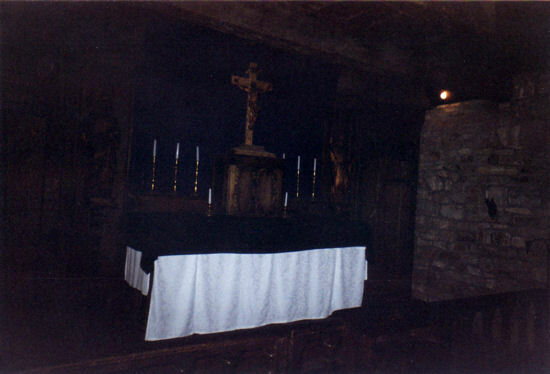 Who knows what ancient secrets lurk within. 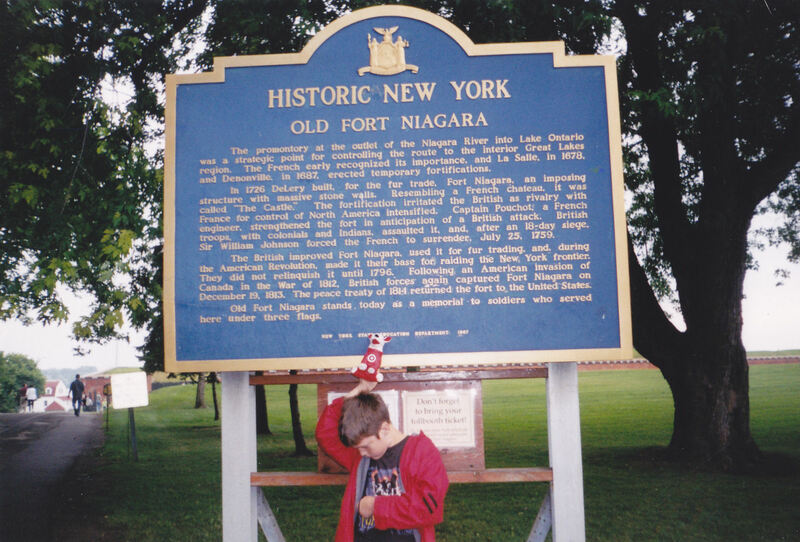 To learn more about Fort Niagara, check out your local library, this epic-length recount on the official site, or this informative sign hosted by Bullseye the Target Dog. If these walls could talk, they’d tell tales of the bloody battles once waged here, and express their appreciation at how nicely they were cleaned up. Fun surprise: this construct on the other side of the bridge had a bat hanging from the ceiling and resenting our presence. We exited quietly without incident. A network of hallways angle through storage rooms, history placards, and former firing positions alike. 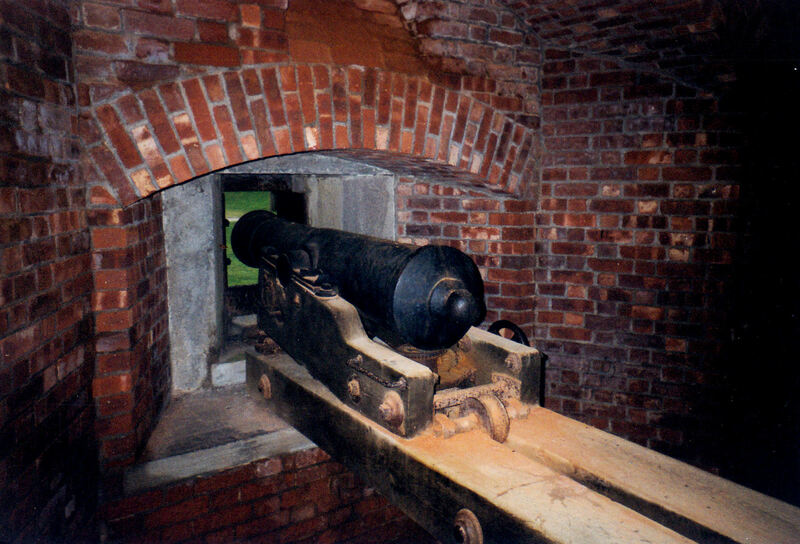 Soldiers who didn’t man the cannons up on the top level could safely bombard the enemy from behind the safety of brick walls. Even during times of war, men made time for moments of peace. 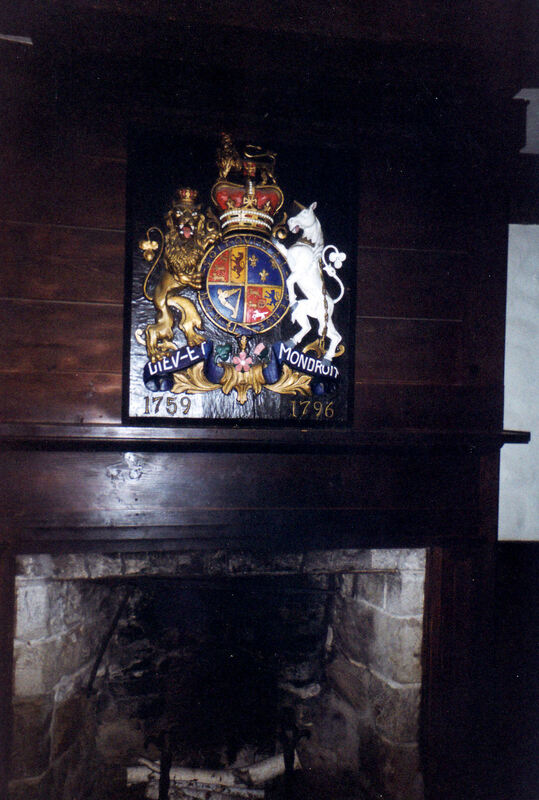 “Dieu et mon droit” is the Latin motto for the Monarch of the United Kingdom (minus Scotland) — “God and my right”. Short version: the King deserves to rule. So this is not an American artifact. 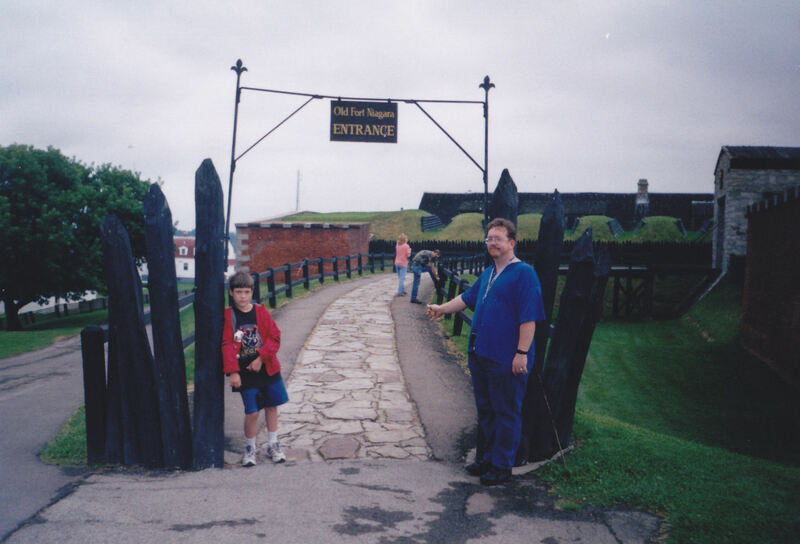 I don’t recall Fort Niagara being close to any restaurants, but they offered basic concession stand fare. It worked for us till the wind began buffeting our plates and making a mess. 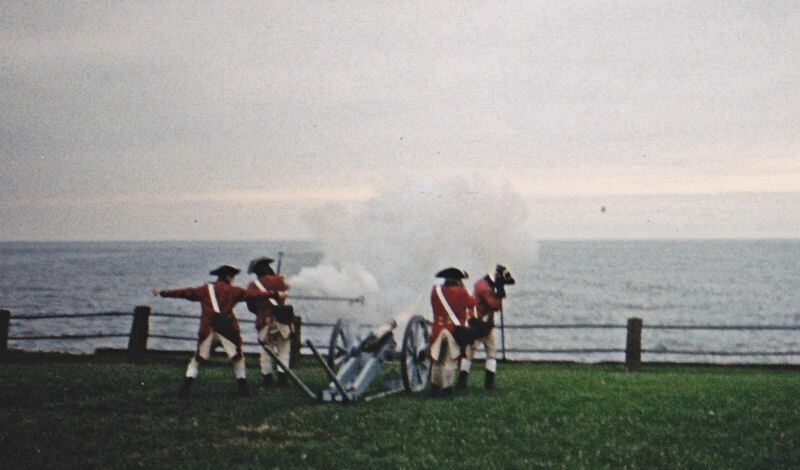 The best part of the Fort Niagara experience: War of 1812 reenactors firing an actual cannon. 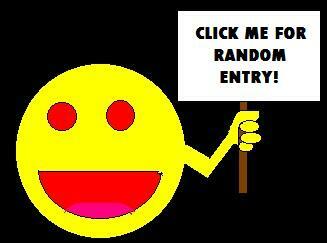 We brake any time a tourist site wants to entertain us with EXPLOSIONS! We who are about to reenact salute you! TAKE THAT, STUPID LAKE ONTARIO. 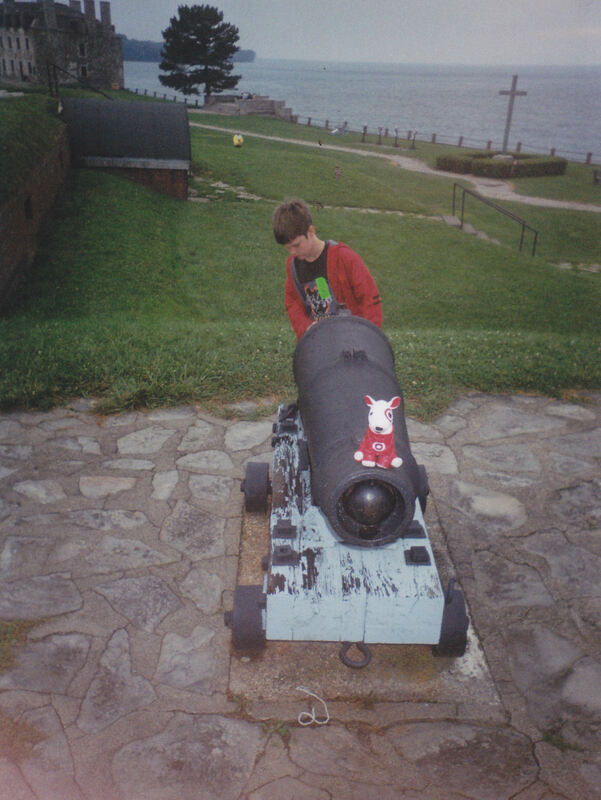 The worst part of the Fort Niagara experience: all other cannons were decommissioned — no civilian test firing allowed. 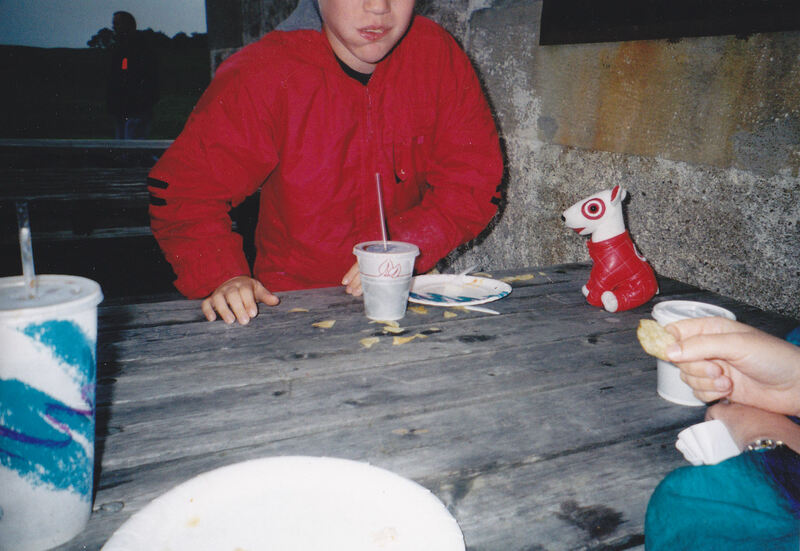 Bullseye was the most disappointed of us all, for he has such an enemies list.